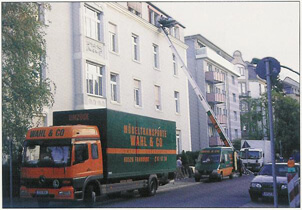 Since 1966 we are working for our customers with highest standarts concerning relocations. It was easy for us to convince our customers of our high reliability and qualitiy and the option to have the right team for every demand. Use our experience for your relocation. With an expert team and a modern vehicle fleet you will make good choice, which is also to be seen at our list of references.